Go and get it from your country! You are walking through a buzzing street in a far off city. It’s your first time here but it feels like you have been here before. The buildings elegant and imposing have a nonchalance about them that is as impressive as it is intimidating. You look at the people around you. Some stroll like they have ten life times. Some look like they are practicing for the Olympics. No one seems to notice you. Everyone seems so detached, so absorbed in their own business. You pause for a moment and breathe in the air. It’s free and sweet. Smiling to yourself, you waltz into a shop. Your eyes brighten up when you see her. Never before have you seen such beauty. You straighten your back and step forward. This is your chance and you aren't going to waste it. ‘Hey,’ you start quietly. She smiles and you feel your heart beating. You put your hands around your chest afraid that your melted heart will gush out. You ask the guy tending her. He looks at you. He has kind eyes or maybe you imagine that he does. You are in love and you only see the good. “No you can’t!” He says simply. You stare at him a faint smile breaking around the corner of your mouth. Maybe he didn’t understand what you said? Maybe he doesn't understand your language? “That bag, the blue and yellow one!” You say. His shoulders are rugged. He would never make it into a dance school. Is this some joke? Is he for real? Is this a shop? “I would like to buy that bag!” You say firmly using your hands to make the sign of a bag. “We can’t sell it to you!” The guy says. There is something final about his shoulders. There is something final about his eyes. You look at your shoes. You look at your clothes. You look at your brown skin. You want to ask why but you think you know why. You can afford this bag. You can afford millions of this silly bag. For all you know, you can afford rainfalls of this bag. I was struck by the ease with which Oprah Winfrey described her experience at the hands of a shop owner in Italy who refused to sell her a bag. I have always been fascinated with Oprah, not because of her billions (maybe a little bit) but with how grounded and human she is. When I first started writing, I made a decision that I was going to write lighthearted humorous stuff about race and the art of living in a foreign country. With time, I have come to the realization that for every amusing and entertaining stuff about this topic, there are a dozen heartbreaking and torturous stories. This naturally makes it very difficult to write. How do you laugh about something that has the potential to alienate and hurt so much? The first time I watched that clip of Oprah narrating her experience in an Italian shop, I burst out laughing. In the moments that followed, it became less and less funny. Refusing to sell a bag to a billionaire is funny. From a purely business angle, it is probably the dumbest thing any business can do. But that is as far as it goes. Refusing to sell a bag to a person because she is a woman, a man, a black person, an American, a Nigerian, a Mexican, a Pakistani, a Swede or whatever they are is not funny. 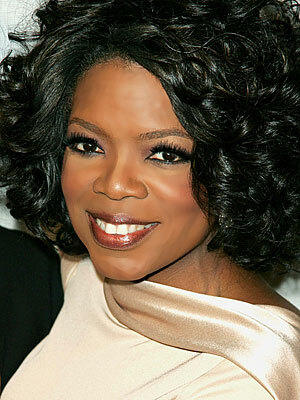 And if Oprah was a regular person with a normal bank account, this story would suddenly not be funny at all. What is the appropriate reaction? I have continuously questioned myself about the appropriate reaction to such stuff. 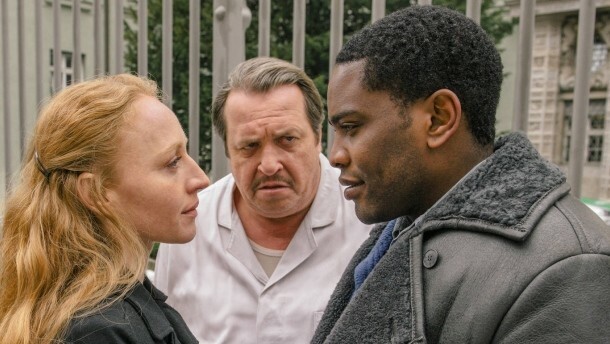 A few months ago, I watched what I thought was a brilliant German/Austrian film about a butchery owner who is taken ill and has to be admitted to hospital. His daughter, overwhelmed with the running of the business hires a Congolese asylum seeker. The father eventually comes home and the horror on his face when he sees the African, is definitely the kind of stuff Oscars are made of. He breaks into a racist tirade, cursing the daughter, the African and everything on sight. He eventually dies but his ghost is as crazy as it is hilarious. The movie plays out in a small village in the lower part of Austria where every single resident apart from speaking in the most unintelligible German dialect, could definitely hold their own in a bigots’ premier league. When I told a friend about that film, she had a familiar reaction. A Clipped guarded smile. In all honesty, I don’t blame her. To be able to laugh about something, we have to be over it. We have to be so over it that we can see and recognize the absurdity in it. But how do we get to this point? How do we reach a point where we can laugh off stuff that is actually painful? My take is that we have to demystify racism and different forms of discrimination. The best way to do this is to keep the conversation alive. We have to express and expose the gory details of our encounters with racists, sexists, tribalists and their entire ilk however uncomfortable. Not talking about discrimination elevates it to a divine level where it can exercise its power over us as we watch helplessly. It turns us into spectators and victims. Talking has the exact opposite effect. It exposes the barbarism, the vindictiveness,the ignorance,the pettiness and most of all the absurdity that is often clothed as something noble. The makers of that film did just that. And so did Oprah by sharing her story. The other thing is that we validate our feelings of hurt and humiliation when we speak up. This is really important because it breaks the spell. One of the most startling things about discrimination is that the victims are often made to feel that by speaking up; they are hurting or embarrassing the perpetrators. The result is that many people are wary of speaking up. No one wants to be called petty or lacking in humor or worse still disagreeable. I don't blame them. These are all legitimate reasons. And yet, if no one spoke up, women would still not be voting even in the most advanced western societies. If everyone was silent, the most toxic form of apartheid would still be thriving in South Africa. If silence prevailed, slavery would still be a legitimate trade. If Rosa Parks and her ilk didn’t speak up, we black people would still be huddled at the back of buses in our own cozy brown sections. If no one spoke up, many societies would still be celebrating glittering weddings between nine year old kids and sixty year old men. If silence had prevailed, they would still be 'normal' today. That happend in Zürich/swiss Not italy..
Great post! "To be able to laugh about something, we have to be over it. We have to be so over it that we can see and recognize the absurdity in it." I completely agree. Ignorance is, unfortunately, far too common. The best way to deal with it is to always expose it for what it is - utterly empty-headed behaviour carried out by people who haven't completely evolved as human beings. Thanks for reading and for taking time to comment. You are absolutely right. Ignorance is far too common and unfortunately also too easy. Growth takes effort and I think unless someone is pushed from their comfort zone, it rarely happens. This is sometimes a LV policy where they reserve a certain number of items for tourists - they often limit how much people can by - that happens a lot at Prada and the Prada outlets. In this case it made no sense because for one price they usually don't care. I wonder why LV has not responded to this. Oprah told this story twice youtube 'Oprah Handbag Snub' - once in Switzerland and then once in Rome -'The Store that refused to sell Oprah a handbag' same story... strange. And strange that luxury stores won't sell a handbag. Luxury brand stores sell to people from all over the world, every day.